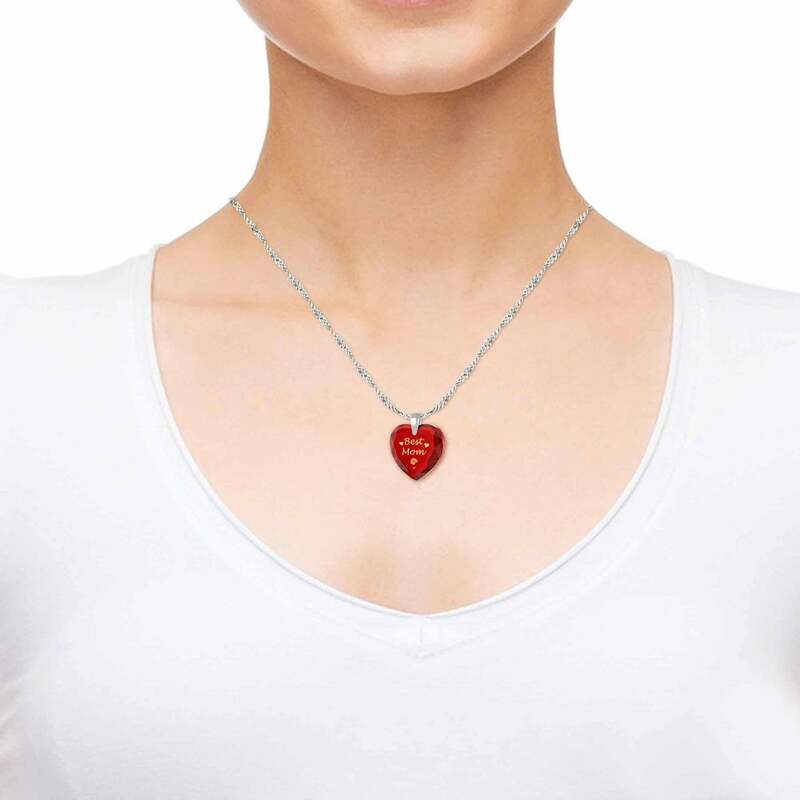 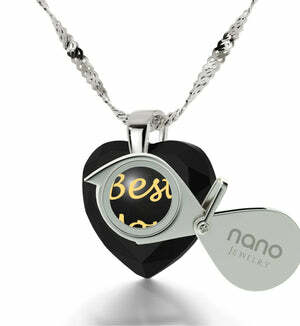 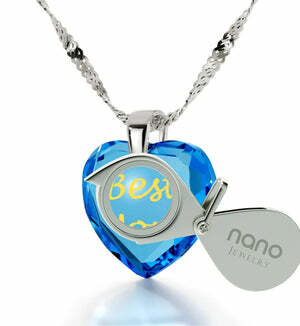 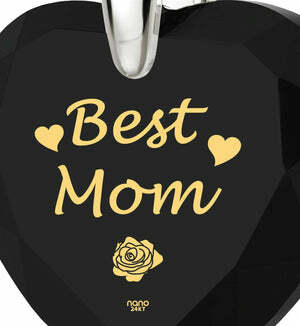 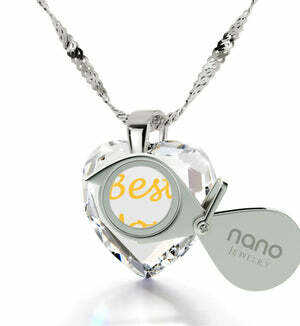 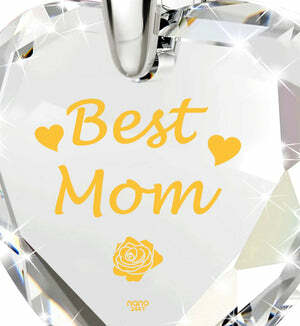 Good Presents for Mom – Delight Mom Today with Nano Jewelry! 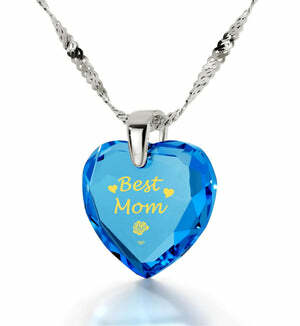 There’s nothing like a mother's love to set things straight and drive away life’s doubts and fears. Having something so powerful to count on is a wonderful thing indeed, and should not be taken for granted. 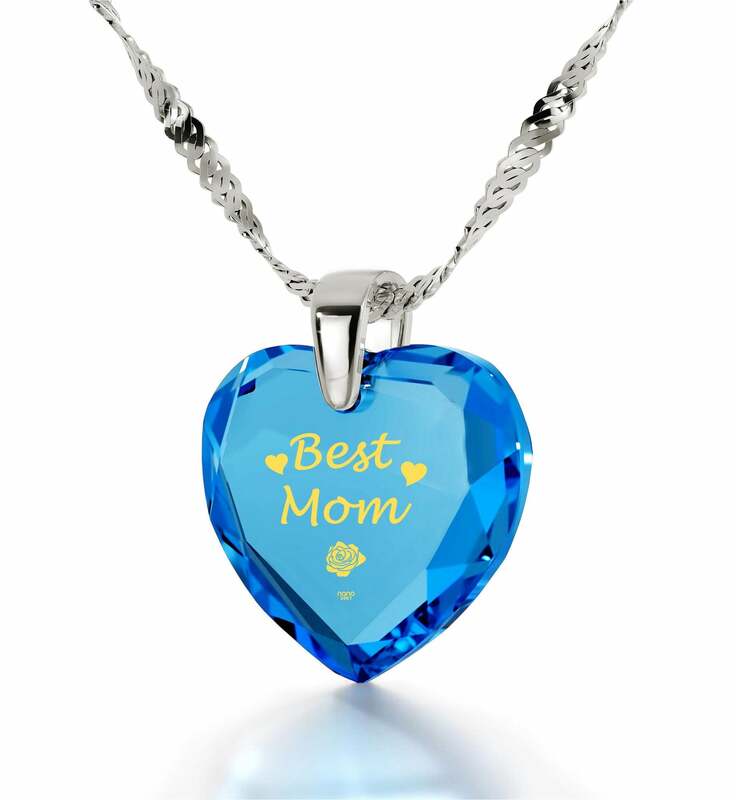 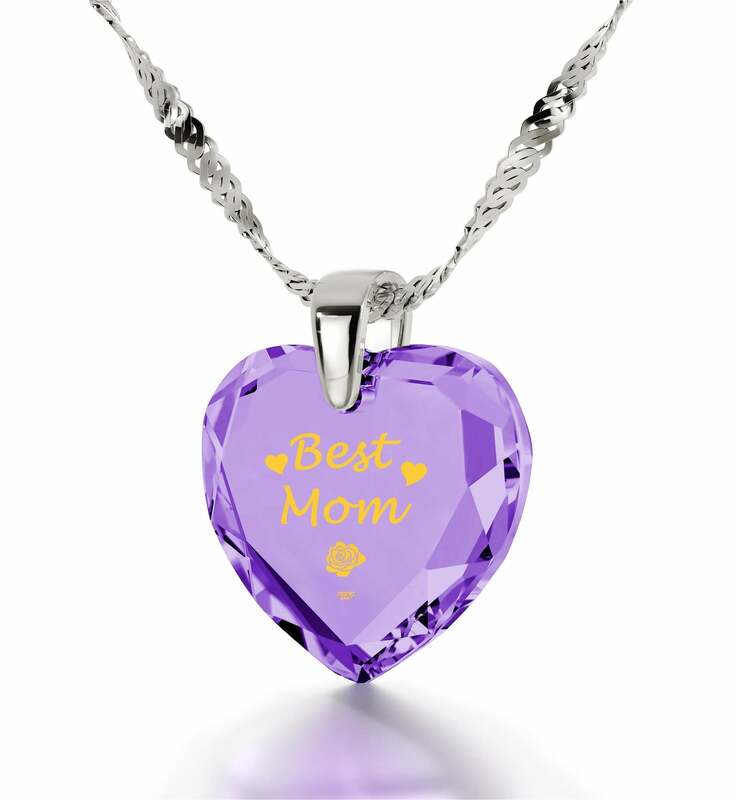 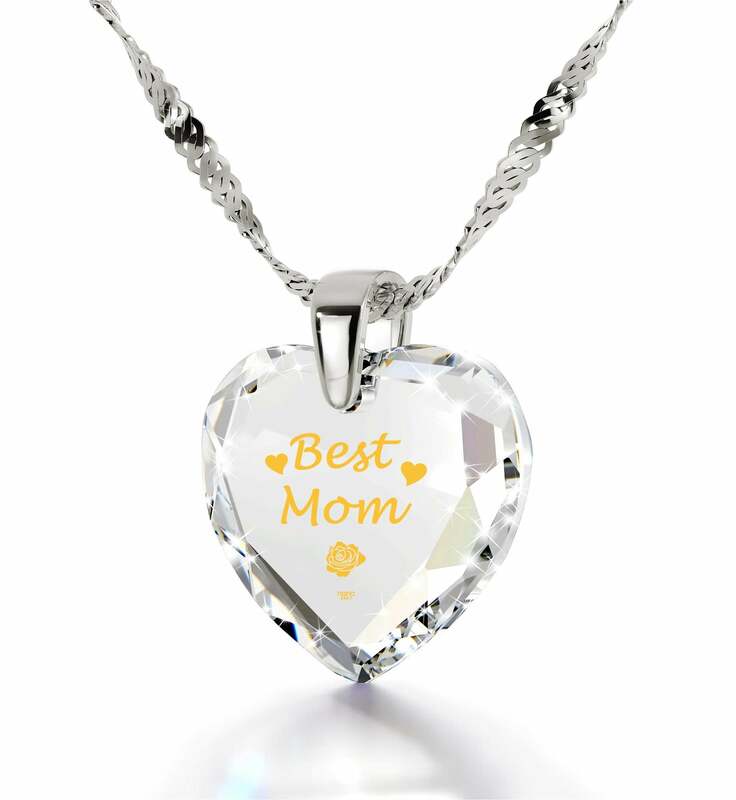 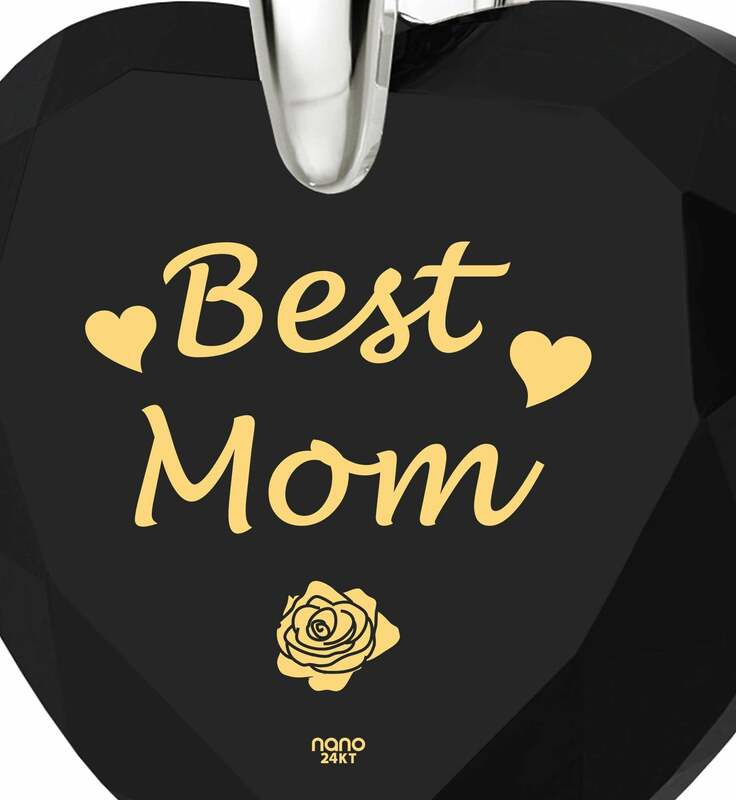 Even though her countless sacrifices can never be truly repaid, you can still show her your gratitude with a good present for mom that says so much with only two golden words. 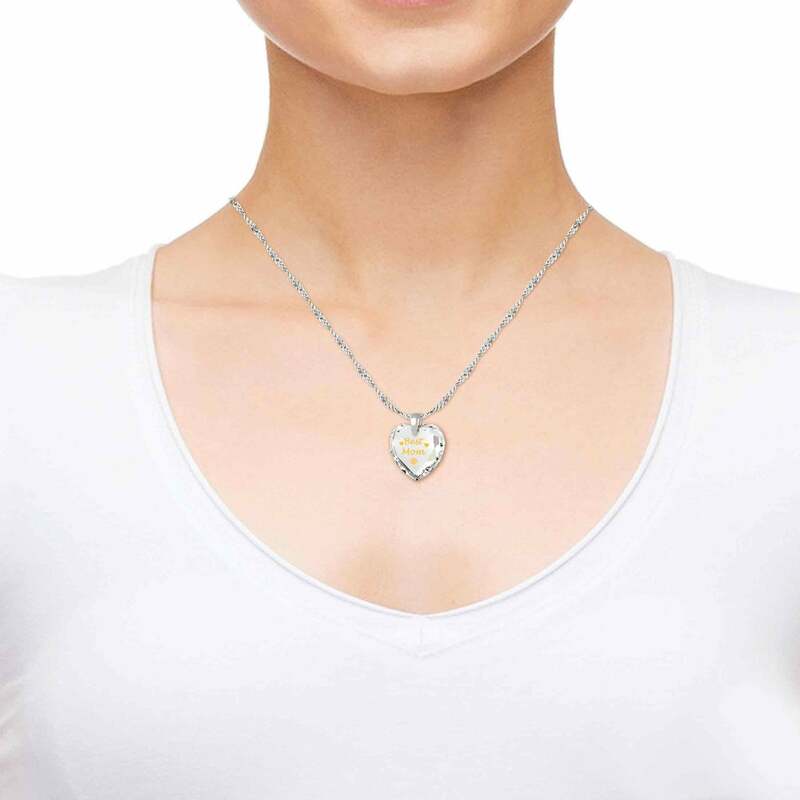 A fine piece of white gold jewelry the likes of which you wouldn’t look for at your local mall, this exquisite necklace has all the makings of the best present for women she’s received in quite a while. Not only is the quality of its make unquestionable, but the emotional significance behind its pure 24 karat gold inscription is sure to cause at least one of you to shed a tear. 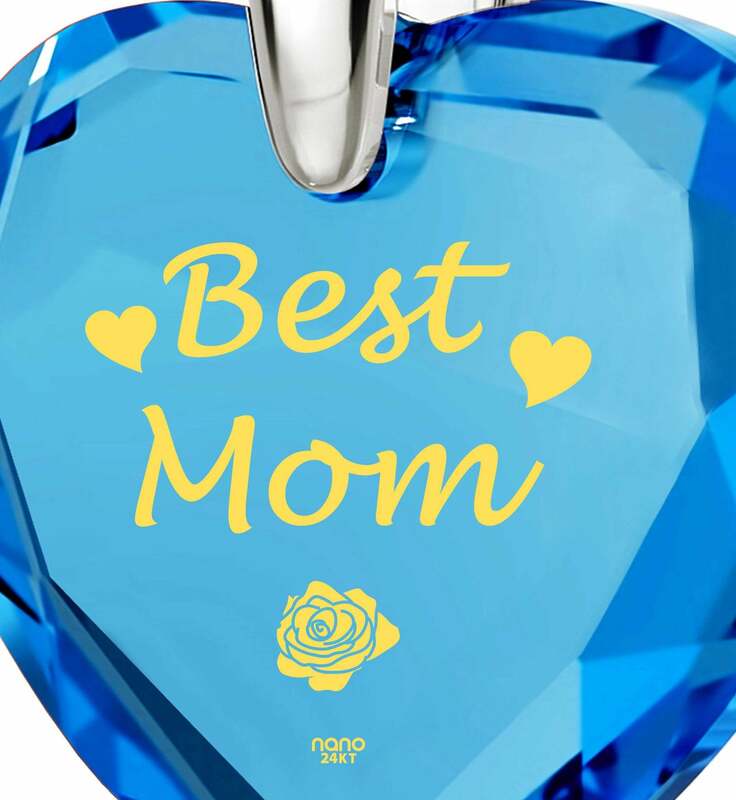 Not only will the golden image last forever, but it makes this a genuinely unique gift for mom since no one except Nano Jewelry is capable of imprinting stones with golden script of such fine detail. 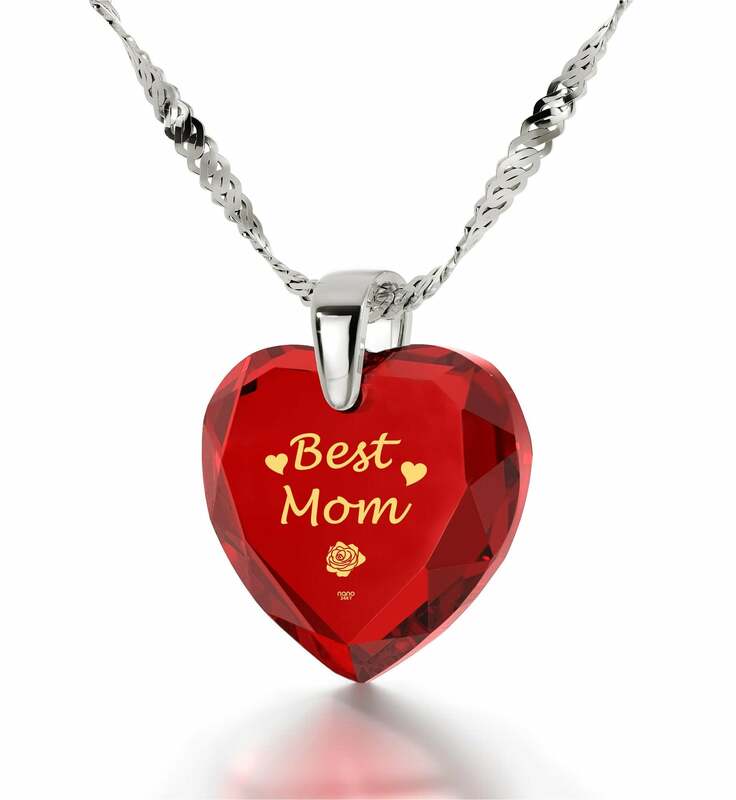 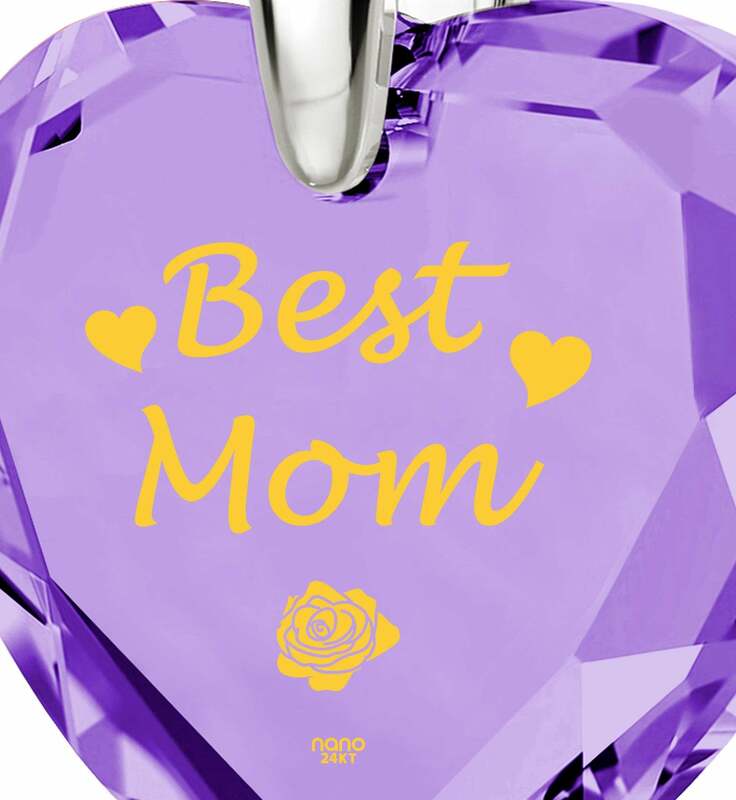 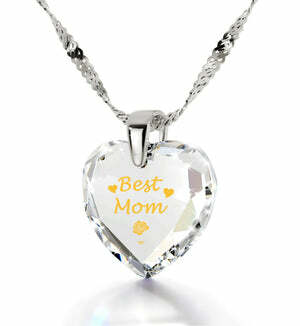 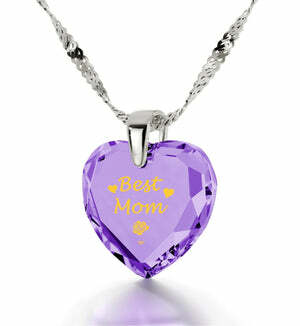 The words ”Best Mom” are written in flowing golden script and flanked by two delicate hearts with a beautiful golden rose underneath. 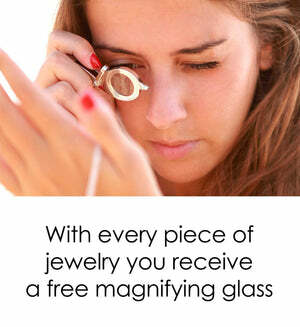 She’ll have no trouble discovering each of its petals thanks to a special magnifying glass we’ve also included as part of this exceptional womens present. To make this cute necklace for her even more irresistible, everything has been placed inside a superb box that will add to her excitement. As soon as she sees the precious gift it holds, she’s sure to never want to take it off.